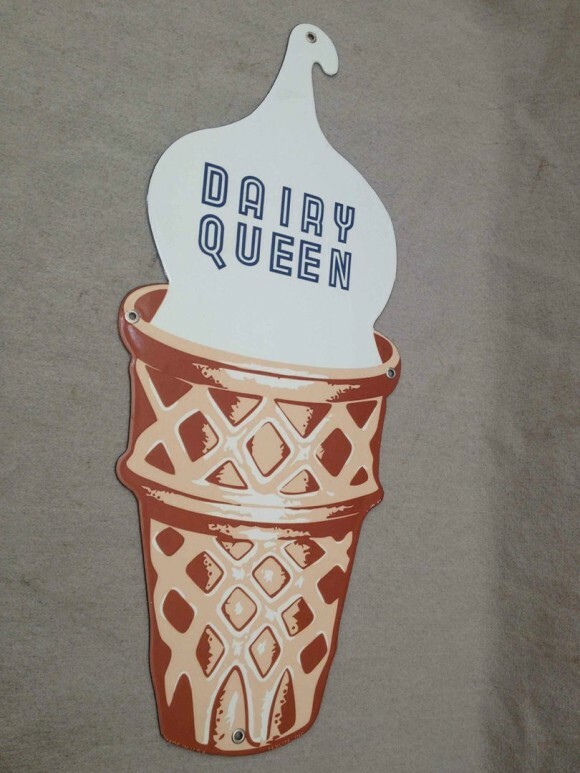 A fan favorite, this Dairy Queen die cut single sided porcelain sign is in the shape of an ice cream cone. The cone shows a lot of detail and it looks like a real waffle cone. The ice cream on the top has a mounting hole.